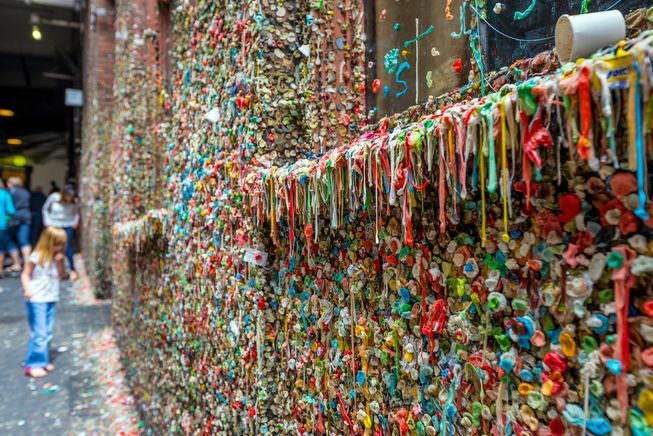 Sometimes trippy = germy, and that's certainly the case with the Seattle Gum Wall, at Pike Place Market. What started as just another wall that people would stick their chewed gun onto has turned into a major tourist attraction. At one point, the marketplace decided to completely clean off the wall, removing more than 2,350 pounds of gum, but people immediately began to add to it again, eventually resurrecting the wall to its former glory. Viva la gomme!